When implementing a CRM, there needs to be a mutually agreed upon goals in place. A CRM initiative without goals will collapse. The business owner must start by crafting a valid business case for CRM before looking into CRM solutions. 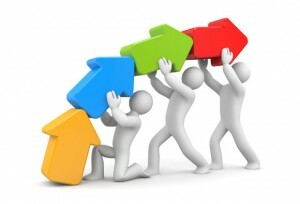 One can also assemble multiple teams to determine specific, measurable goals for the initiative. Areas to consider can include automating processes that will improve user productivity and boost customer satisfaction, streamlining marketing and sales processes, giving customer-facing employees access to a 360-degree view of customer details, etc. There are no applications which can solve all integration problems. Most customers expect integration to happen like plugging a light fixture into a socket and flipping a switch, when in fact it is an evolutionary process. With an integrated system there are always inconsistencies between the separate applications. It is always advisable to consider what is important or the need of the hour than planning to merge and include everything that can possibly fit in. CRM is a business process change, often supported by technology. Many business leaders don’t align their business processes to meet specific goals. Factors like job roles and responsibilities, accountability, and incentives are required for CRM to succeed. For a long-term business process change to be effective, have members of the CRM implementation team spend time in the field to determine how the CRM Software will help employees. An often-overlooked factor is dirty data, or inaccurate and old information. Data is the lifeblood of a CRM system, and incorrect numbers, spelling mistakes, and outdated contact information can infect the system if it is left unchecked. 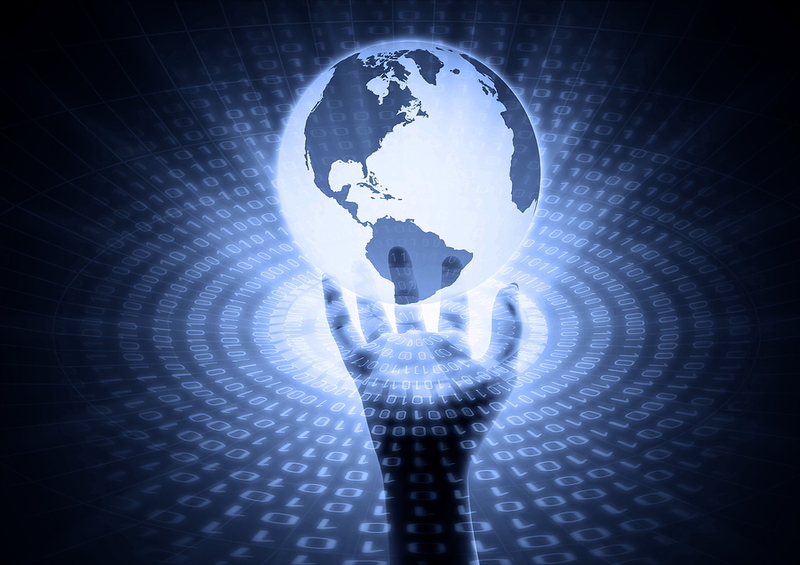 It has become uncommon to have 25 to 40 percent data duplication rates. There are two main reasons for this, either the Customer touch points have multiplied, or the speed at which people enter the data has increased. Dirty data can not only cost a lot to companies, but it can severely hinder CRM adoption rates. It is quite natural to resist change. Many of the sales people may ask, for example, Why should we be forced to change our working habits, when those very habits helped us become so successful? On the other hand, poorer performers may fear the outcome of their managers having a closer window into their bad habits. Failure to convince these and other employees of the benefits of CRM often results in passive resistance and low employee-adoption rates. Effectively communicating the benefits of CRM to users should strengthen their confidence in and comfort levels with the new system. Why Welcome Mails are Important? Have you come across multiple emails from the sites that you subscribed or registered? Most of the applications and websites now send you welcome or first communication mail to help you get started or to show the gratitude for your effort. How does one make this happen? No, definitely its not a manual work behind the screens. Rather many applications now support automated mail triggers which can send welcome emails without human intervenes. Before getting to know how you can get this configured, let us try to analyze why welcome mail is essntial. Why are Welcome mails important? Welcome mail can act as first mail exchange between your business and your client. It can set a good tone or a solid background on long-term selling approach that benefits both of you. It is an excellent way to promote your business at the initial stage itself. Personalized welcome mails can do a lot to inspire customers to stick with you. Sharing point of contact in the welcome emails can also be nice and helpful for your clients to reach you. Give your customers the sense of ease and comfort by connecting to them. Don’t come into a conclusion that welcome mails are not relevant for your business. This approach works for EVERY business, no matter what industry you’re in. How can you automate this? Welcome mails must be sent as soon as your client signs up or registers or when you receive their enquiry on your products or services. Most of the CRM Software applications support this automation. Contact Maple CRM Support team to have this configured in your Maple CRM system. You can have your welcome mail template ready and also ensure to have a personalized content that can work great for your client relationship. The welcome mail content that you share is set for automated mail sending on new enquiry registration. Similar approach works for sending automated SMS as well. Email Formatting: Whether you decide to go with text or html mailers, have your content completely formatted to look great when it reaches your clients inbox. Personalization: Your clients are more likely to open your email which it comes from a person’s name rather than the company name. A person’s name can showcase quality of the email. Avoid Promotion: Focus more on customer and ways to help or guide him rather than trying to promote your business in the welcome mail. Help your customers find you: Welcome mail can include contact details or link to social accounts which can help customers reach you. A well planned and strategic mail can make a lot of difference in the way how you do your business and manage client relationships. How CRM can help Small Businesses? CRM is the most widely used software solution that is cost effective plus hassle free to use. The solution is not only used for sales & customer management but also for performing day to day business operations. For small businesses, the CRM solution for Sales can double their sales at a faster pace. From lead generation, to placing an order or even the follow up of the same, CRM is the apt solution in efficiently managing your small business day to day operations and improve the efficiency. However, ‘why does one require a CRM software?’ is what crosses over the minds of many small business owners. Below are some of the insights that can give a better clarity on how small businesses can make use of by adapting to the CRM technology and what you can expect when implementing a CRM for small business. Integrates the sales, marketing & customer data in one centralized place for easy customer management and retrieval. Provides fast access to vital data of customer from anywhere at anytime. Integrates your existing business process without hassle. Seamless usabilty with defined access control for better management. Customizable & configure to suit your business requirement and process. Reduces Maintenance costs and increases business efficiency. Why Cloud Based CRM suits Small Business? It doesn’t matter if your company holds 100s of employees or just a handful. Today, CRM is the buzzword that is going to help you to establish closer connections with customers, provide professional customer service, sell more and grow your business further. While big businesses more or less spend of different software solutions as needed, small businesses normally are more concerned on what they invest in. Defintely small businesses have a clear straight forward requirement when choosing a software. It has to be affordable, should not be complicated to use, has to be easy in terms of deployment & maintenance and has to accessible at any time. This is because small businesses typically does not own its own server, hardware or IT personnel, and also will not be able to invest hugely at the initial stage. However, they would need the software to be tailored to their specific business process to avoid complexity in usage and also their team may be working round the clock and not just stick to a typical 9 to 5 time. So small business owners need to consider a reliable CRM software that can satisfy them on the above needs and requirements. Gone are the days when CRM software used to be expensive and complicated. Today’s CRM systems are not only more technologically advanced but also user friendly which comes with a variety of solutions and features that can address different types of businesses and industries. Things have changed. Now everything is on CLOUD! Things have definitely changed over the period of time and many small business owners opt for Cloud solutions to grow their business. Hassle Free Installation: The long and complex installation process is no more around. You can be ‘IT worry free’ and be up and runnding in no time with cloud based solutions. All you would need is an internet connection and you will be able to login and start using. Seamless Access: Round-the-clock accessibility is the most important benefit of cloud CRM. Cloud CRM gives you the access at anytime from anywhere – be it laptop, desktop, mobile or a tablet. All you need is just the internet connection. Ease of Use: With just the monthly fixed pricing, you can use the CRM as per your convenience. The system maintenance and the upgrades are maintained by your CRM vendors. Cost effective Solution: Investing on a Cloud CRM is never going to be a costly affair. There is no huge investments that can dig up a hole in your pockets. You can keep paying regular & smaller installment based monthly charges which is one of the reasons why Cloud CRM solution is optimal for small enterprises. Flexible Potential: How easy is it to own a product that can be tailored as per your business needs? You can anytime upgrade or downgrade based what features are required currently. Can you quantify how many leads your business receives from each marketing channel? More importantly, do you know which channels bring your most qualified prospects? As a business owner, it is vital that you are able to measure your lead source time to time to make strategic decisions and make profitable business. Lead source is a critical piece of data you need in order to assess the value of your marketing campaigns and to take it forward with you lead management. 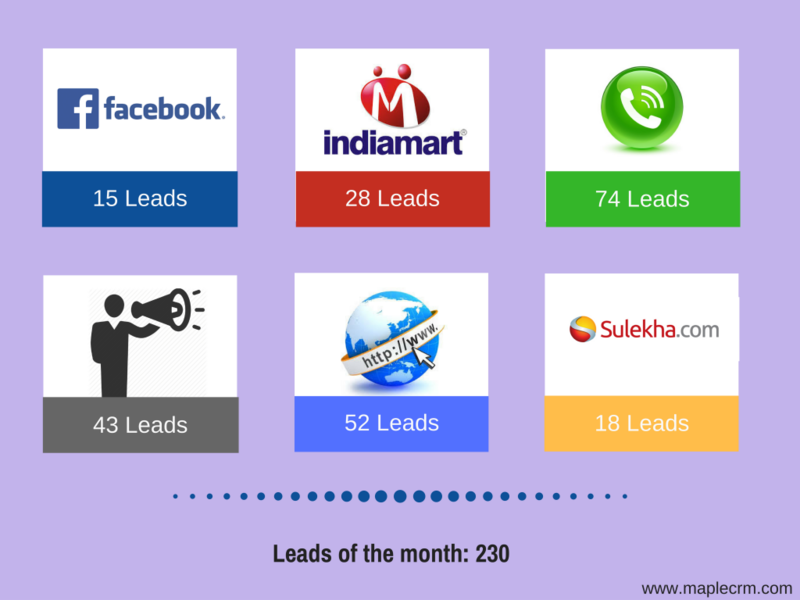 If you are using any Marketing or Sales tool to manage your lead process, you would have noticed the lead source or account source as one of the field to capture. By putting in place the best practices, you will be sure you can measure the value of your sales process efforts. Tracking lead sources can get confusing when leads encounter multiple touch points at a later stage. Ensure to have the lead sources defined which can be allocated whenever a new lead flows in. Most common applicable sources could be social media, advertisements, website, phone call, etc which can be followed with multiple others sources applicable to your business. During the initial stages you might have identified a set of lead sources and over a period of time that may keep growing. However, try to keep the number of lead sources to a minimum when customizing. Many tools provide charts and graphs based on sources which can be very informative with a good set of valuable sources. Lead source should never change. The lead source is to identify where the lead is oginating from and that must not be changed once captured. The value of a lead from each source varies from company to company. As important is the defining of your lead sources is, accurately tracking them is just as vital. If you are using Sales Management software or any Marketing Automation tool, you will be able to keep a good tracking process in place with different levels of metrics. Many tools offer various types of charts and reporting to have an indepth annalysis on the lead sourcing which you can make use of. Accurately tracking lead sources is certainly a major value proposition for most of the businesses. Doing this step correctly is crucial to maximize your sales profits. Well, it is a common understanding that each business can have its own CRM solution. Who would have thought of collaborating all in one? or rather the question could be is it possible to configure multiple business entities in one single CRM system? Yes, with multi dimensional CRM platform you can configure different verticals in one CRM software system. You being the business owner can have the complete control of all your business entities and manage the process with ease. It would be extremely convenient with just one tool for all these distinct processes. The system can be defined to work based on each entity along with strict access control. As illustrated in the above picture, no two businesses are same and neither are the processes they follow. Maple CRM offers such multi company utility configuration within the same CRM system without much hassle. The solution ensures to have a less complicated and a user friendly system that can be customized to match your requirements and your process. It provides the flexibility to organize your CRM with multiple process defined. Automating day to day operations play a major role in improving your business process. The feature helps in eliminating most of the manual tasks and streamlines the business process by running on rules. CRM solutions offer workflow automations making your business hours more productive by taking care of the routine tasks for you. With the competitive market around, many of the workflow automation feature comes with powerful and modern tool to configure rules based on each business requirement. Using the workflow automation you can configure your rule engine to remind you prior to the contract/subscription renewal. You can set time based actions as per your process. The action could be directly an email notification to customer or a reminder to your own team to take appropriate actions. Keep your customers informed on the ticket or query raised by them. You can personalize the content by letting your customers know the time frame for resolution, issue status and which agent is taking care of it. The more information and message you pass, the more customers would be happy that they are being informed. You can set such triggers to be for email or SMS. Each business has its own process model. Your CRM solution can be configured to set custom based triggers based on any field or at various stages. These conditional triggers can be defined with one or more actions that can take place automatically as configured. The key benefit of workflow automation is to provide a consistent customer experience and at the same time eliminate all the redundant or routine tasks. Workflow automation allows you to develop standardized response protocols and ensures that they’re followed. Smart & Flexible is the key to the Future CRM! “One size fits all“. Does this phrase hold good when it comes to business and software applications? Many CRM systems are built to fit varied industries and business sectors. In the early days, having any CRM would mean that you have multiple options that you can use as your CRM would comprise of everything to anything and that’s why you had to pay a hefty price for the same. Hence, the one size fits all approach was acceptable. Over the years, CRM solutions have evolved to offer many features that can work on a customized approach to fit into any business. The focus has changed to a flexible mode that that can be opted as needed. It comes down to the features and functions that any business wants to priortize and the costing varies based on what has been chosen rather than everything. The current demand is that CRM has to respond in a different way to every individual in the organization. That would mean virtually every individual interacting with an organization’s CRM system needs a view of that system that is uniquely personal. So in fact, it becomes contrary of the one-size-fits-all system. Instead of being a huge system offering everything to everyone, it should be a system that simply returns whatever information, in whatever form, to whatever interface, an individual needs – whenever it’s asked to. The future CRM demands to have a personal view which should present the information I need, remind me in the way how I want it to be reminded and the CRM should definitely be smart enough to deliver my personalized experience in a device – appropriate manner. And ‘Smart” is the real key here. Moving forward, market is looking for the CRM systems that can truly deliver value to users and customers, CRM systems that are smarter, dynamically personalized for each individual’s needs, and capable of helping us handle the more complex challenges. Saying that, there are a lot of CRM software choices today in the market, but consider the importance of using a system that was designed with you in mind. One that fits your business. 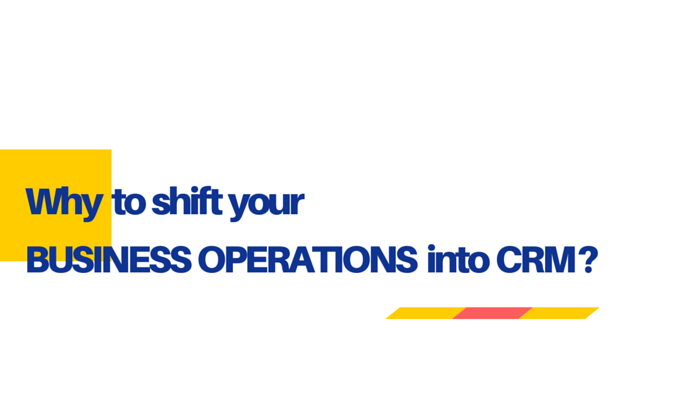 Why to shift your business operations into CRM? The seemingly unending list of task and follow ups to do and with so many activities is it not a daunting task for you team to keep note of things here and there and finally end up forgetting where? & who will take the responsibility of missing those follow ups? Ultimately it is the frustration that comes out from every individual who is not able to efficiently manage the work and the from the management who believes that the problem lies within the team. 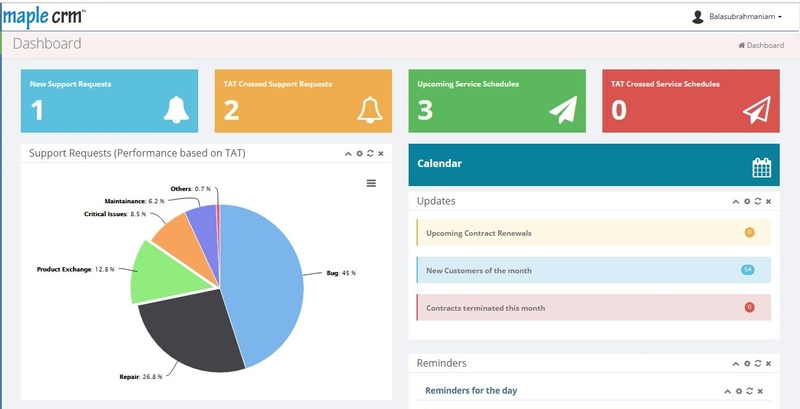 When manually done, it is an inefficient way of managing activities and ends up in encountering with a lot of human errors plus it comes with unnecessary time wastage which can definitely be avoided by having a CRM in place that can help not only to eliminate the administrative tasks but also to improve the output results. Maintaining and managing records in an efficient and easy to use manner is vital for every business. When needed, the details should be easily accessible and available for your team. The problem of having the details stored at individuals desk or paper may not solve the problem rather, an online CRM can be of great help to quickly access what is needed at anytime anywhere without consulting one another. Being in the management is no less an easy job when it comes to tracking & monitoring the staff performance. With an efficient CRM solution in hand, you can connect and look into the staff activities and their performance without any trouble. You would not need your staff to come to you when you need to know something rather you can simply use your CRM to fetch & analyse what you need. CRM is not just a customer management system, it is strategic tool that helps in managing your complete business process with ease. Maple CRM software solution is an easy to use online CRM application that offers comprehensive packages with high capabilities suitable for both small & medium level organisations. Call +91 95389 25641 to know more on Maple CRM offerings and how it can be helpful for your business. or Visit http://maplecrm.com/ to subscribe for a free demo session. How important is CRM for your Business? We all know it is important to know how your company is recognized by your customers and clients. And we do know that the customer satisfaction is directly proportional to how well your business will do in future. But as an Owner or Manager, can you measure or track this? Spreadsheet is not the answer! It can get lost, outdated or might fall into wrong hands. Client Management is an important process that every small to medium or large companies have to ensure of following. An efficient tool like CRM can enable greater visibility into your client base, help in achieving long term profitability and formulate better plans to increase business efficiency. The customer database increases the value when everyone works together in populating it with the essentials. Keeping a good overview of the customers with customer centric strategies including collaboration can help company improve business success. As a business owner, the last thing that you want is to lose income by targeting wrong customer segment. CRM solution can ease your work by enabling you to strategically implement sales process that can reveal the potential prospects based on multiple data points. Have you experienced someone leaving your organization and nothing is left behind? Pipeline wasn’t up to date. Important contacts and details are not available because it was stored locally? Don’t let it happen to you. With CRM, track all your customer interaction, history and preferences through the system and not through your staff’s mailbox. Managing customer relationships has become a top priority for continued business success. CRM can improve your company’s customer service practices helping your staff to respond to client’s queries quickly and effectively. The goal is to instill greater customer loyalty and provide customer satisfaction that can eventually improve the company’s ability to retain customers and thereby create valuable revenues. Why customer satisfaction is important? Increasing competition is forcing businesses to pay much more attention to satisfying customers, by providing strong customer service. Customer satisfaction matters not only to the customer, but even more to the business because it directly impacts a company’s bottom line profits. It’s not just about being nice to your customers, it’s about understanding how strong customer relationships are pivotal to a company’s success. Further, it is one of the most important components of a company’s positive brand image. The reason why customer satisfaction directly affects bottom line profit of the company is simple: it costs far less to retain a satisfied client than it does to find a new client. Positive Word of Mouth, the most powerful and cheapest form of advertising that can be contributed only by a satisfied customer. When a person is satisfied with a company or service they are likely to share their experience with other people to the order of perhaps five or six people. However, dissatisfied customers are likely to tell another ten people of their unfortunate experience. Customer satisfaction is the best indicator of how likely a customer will make a purchase in the future. A satisfied customer will keep coming back to you for more services or products or a varied stream of services you provide. Cross-selling and up selling to clients who are already satisfied with your services is the quickest and most cost-effective way to bring in new business and grow your firm. Your clients already value your services, so if they have a need you can address, you’re well-positioned to sell more. Customers like to be asked for their feedback. It gives the customer the perception that your company values them, is committed to keeping them as a long-term customer, and bases business decisions on your customer feedback. Avoid losing your customers by building relationships and keeping in touch using a rolling calendar of communications. Be in touch with your customers with a programmed sequence of letters, events, phone calls, “thank you’s”, special offers, follow-ups, magic moments, and seasonal greetings or notes with a personal touch etc. that occur constantly and automatically at defined points in the pre-sales, sales and post-sales process. People not only respond to this positively, they really appreciate it because they feel valued and important makes them feel part of your business so that they want to come back again and again. Customers cost a lot of money to acquire. You and your marketing team spend a lot from your pocket getting the attention of prospects, nurturing them into leads and closing them into sales. Customer acquisition, usually steals the spotlight, but retention is what ultimately builds the foundation of a company that is positioned for growth. The effective use of a Customer Relationship Management software in any organization helps in minimizing efforts and hassle of spending your valuable time on customer relation and satisfaction. CRM software automates the process of tracking every interaction between a customer and a company representative. Customer satisfaction plays an important role within your business. Not only is it the leading indicator to measure customer loyalty, identify unhappy customers, reduce churn and increase revenue; it is also a key point of differentiation that helps you to attract new customers in competitive business environments. How can a CRM software improve the productivity of a small business?